ADVANCED remote monitoring systems are quickly helping reduce some of the massive operational costs faced by mining operators. Companies are embracing the emerging technology with a South Australian business leading the way. 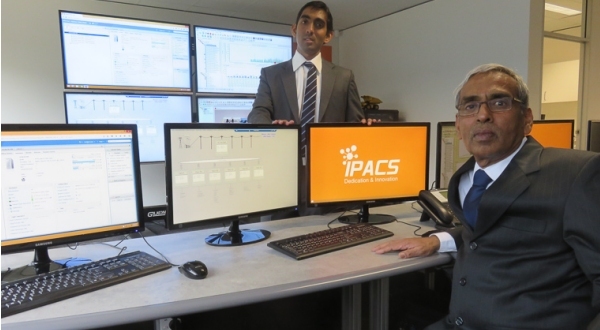 IPACS Australia has opened a remote monitoring operations centre in Adelaide which uses wireless sensors designed and manufactured in South Australia to transfer and collect data from mine sites in real time. General manager of IPACS, Dr Vinay Sriram said the sensors currently relayed data from mining operations located 650 kilometres from the city-based operations centre. “Currently we have assets valued at over $10 million under remote tracking and recording,’’ he said. “We are hopeful to increase our assets under management to $100 million within the next three years with the new technology. The centre currently monitors dump trucks working in the Prominent Hill mine in South Australia as well as a crushing machine 400 kilometres away. “The new centre is helping create a hi-tech mining focus in South Australia which is prompting inquiries from major global, overseas operators at the moment. He said mining companies which were not embracing the opportunity to quickly cut operating costs would not be in business for long in the current economic climate. “The aim is to lower costs across the industry and allow companies to remain profitable and therefore competitive on the global stage,’’ Dr Sriram said. “Bigger companies are able to do this easily while small to middle range contract mining companies find this harder to achieve. This technology will provide an affordable opportunity to reduce their costs and get more value out of their assets. Dr Sriram said the technology has far reaching application opportunities in the defence industry, such as the future submarines project in South Australia as well as home automation and the energy market. “We have also had interest from a national transport company to monitor mechanical drives and identify any potential early machine failure,’’ he said. “Operational costs for any large company contribute greatly to their overall costs. The remote sensor equipment is designed and manufactured in South Australia.